Coincidence that February furry friends is an alliteration? We think not! This month we are thrilled to introduce you to Dawn Farrell of ToasteePups where you can find all things for your furry best friend! Dawn is a proud Michigander growing up in the Flint area and attending school in Bay City, Mt. Pleasant, Kalamazoo, and Ypsilanti earning all kinds of degrees and accreditations along the way. She initially worked in interior design and eventually ended up teaching a variety of high school classes for 21 years. The first dog related item that Dawn ever created was fleece coats for her own dogs in 2015. 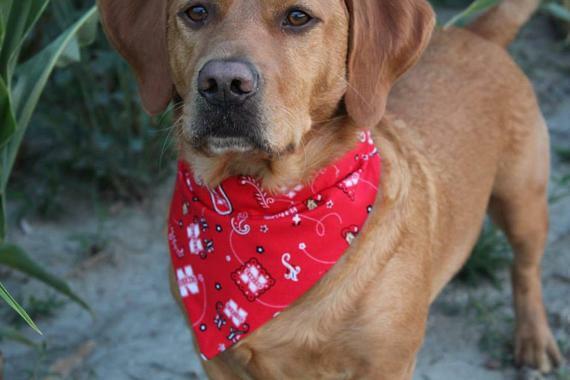 Her popular ‘slip-through-the-collar-bandanas’ started shortly after that. 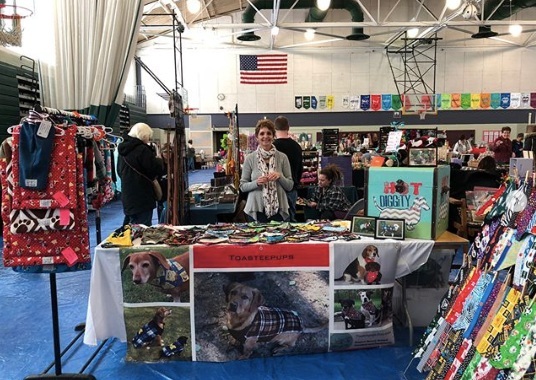 Since those beginnings she’s added even more dog accessories to her product line including crate beds, snuffle mats, and most recently ToasteePouches (a fleece and Sherpa bag for pets). Dawn explains, “the name ToasteePups came from when my children would wrap up our first Dachshund up like a burrito and call her a ToasteePup.” We think that’s an awesome origin story! Dawn loves every part of her process from picking out unique fabrics, creation, mailing finished products to cute pets, and all of the adorable fan photos that follow. Right now Dawn does ToasteePups on a part time basis since she is still teaching. However, she has plans to retire this year which will give her more time to devote to her handmade business. You can stop in and shop ToasteePups products with us in store or visit her website below.